The Ojai Playwrights Conference has been committed to developing the works of both emerging and seasoned writers since its inaugural year in 1998. At OPC, we believe the theater can be a vital and essential forum for the exchange of new and challenging ideas about the world in which we live. We seek out plays and playwrights who share this vision. Many plays developed at the Ojai Playwrights Conference have gone on to prominent productions at theaters across United States and around the world: from LA's Mark Taper Forum to Chicago's Goodman Theatre, Seattle Repertory Theatre, La Jolla Playhouse, and Broadway to London’s West End and theaters in Asia and Africa. Read what some of our OPC playwrights say about OPC. The 2019 OPC Playwrights and New Works Festival schedule will be announced in late June. Sign up for our E-mail list to receive notifications on upcoming events and news about our playwrights and programs. The following playwrights and artists were featured at the 2018 OPC New Works Festival. The newly radicalized mixed-race daughter of an interracial gay couple yearns to break free from her small town. She longs to be a legend, like her hero, Lauryn Hill. Meanwhile, one of her dads reconnects with his high school love, as her other dad fights to preserve an idealized suburban family life that never existed. Sometimes great clarity comes when there’s nothing to see but the trees and nothing to contemplate but the stark silence. BIO: Jeff’s play The Last Tiger in Haiti premiered in a co-production at La Jolla Playhouse and Berkeley Rep. His plays have also been produced at the Roundabout Underground (Little Children Dream of God) and Actors Theatre of Louisville (The Many Deaths of Nathan Stubblefield; Cry Old Kingdom; That High Lonesome Sound). Jeff was the Shank Playwright-in-Residence at Playwrights Horizons and the inaugural Tow Foundation Playwright-in-Residence at Roundabout. "There are times in our lives (probably far too many) when who we are, and who we want to be, don't quite match up." Daughter, sister, lover, mother, artist, citizen – Joan is a restless, troubled soul who wants to capture the raw truth in a world in which the truth is often fleeting. A poignant and probing play about the life of a contemporary American woman. BIO: Stephen’s plays have been produced on Broadway and in over 25 countries. He was Associate Writer on The Laramie Project, and Co-Writer on The Laramie Project: Ten Years Later. He has written and directed two feature films, Management, starring Jennifer Aniston and Woody Harrelson, and Match, starring Patrick Stewart. He recently completed O.G., starring Jeffrey Wright and members of the Pendleton Correctional Facility in Indiana. Television credits include Law & Order SVU and Rescue Me. BIO: Keith is the author The Credeaux Canvas, The World Over, and the OPC-developed The Busy World is Hushed, which all premiered Off-Broadway at Playwrights Horizons. His other plays include The Unbuilt City (New York Stage and Film), and Sam Bendrix at the Bon Soir (La Jolla Playhouse and City Theatre). The president is coming to town! And the ladies of Bethlehem, Pennsylvania are beside themselves planning for the big event. Their husbands drink beer, talk smack and agree a good woman needs a good man. Later, a group of 20-somethings gather in Brooklyn to plan a fundraiser... or is it a march? Or is it a ritual to absolve their own guilt? A play about the complicity and violence of the status quo that asks: What happens when we stop equating white womanhood with goodness, and ignorance with innocence? BIO: Steph’s play Fill Fill Fill Fill Fill Fill Fill premiered at The Flea Theater in 2018, and will be published by Dramatists Play Service. Other plays include Machinalia (JACK), Are You There? (UCSD), and Flee (Seven Devils Playwrights Conference). Her work has been developed at Soho Rep, Clubbed Thumb, New York Stage and Film, Colt Coeur, The Eugene O’Neill Theater Center, and SPACE on Ryder Farm. BIO: Lily just finished her MFA at UC San Diego under the mentorship of Naomi Iizuka, Deborah Stein and Allan Havis. Her selected works include (w)holeness (Finalist for the Latinx Theatre Commons' 2018 Carnaval), and And Then You Wait (La Jolla Playhouse WOW Festival). 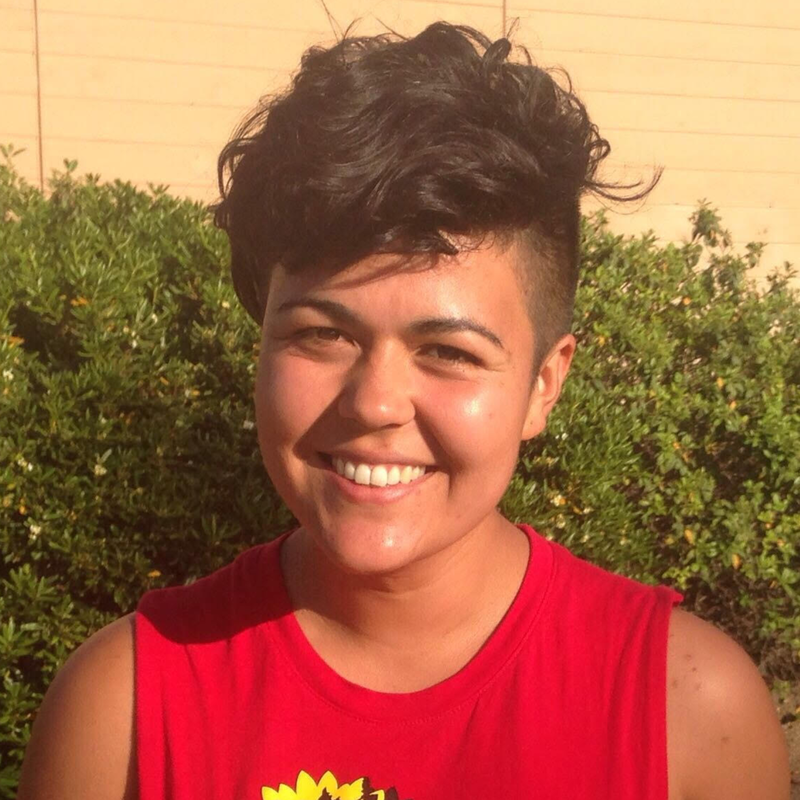 Padilla is an EmergeNYC fellow with the Hemispheric Institute of Performance and Politics. She co-founded American Nightcap at INTAR, a late-night play series which gathered artists from diverse NYC theater communities. BIO: Developed at OPC, Ruby’s Dry Land premiered Off-Broadway in 2014 in a sold-out, critically acclaimed run at Colt Coeur. A finalist for the Susan Smith Blackburn Prize, the play has gone on to be produced across the United States and in London. Her play, Carrie & Francine, premiered in the Summer Shorts Festival in 2011 at 59E59. Ruby has written for several television shows, including The OA, Purity, and Mindhunter. BIO: Alice is a teacher, performer, and internationally-produced playwright whose work includes Last of the Suns (Berkeley Rep and Ma-Yi Theater Company), Secret History of the Lower East Side (En Garde Arts), HIT (Los Angeles Theater Center), Ajax (por nobody) (Flea Theater, Salvage Vangard, Melbourne Fringe, and Toronto’s SummerWorks) and A Humbling in St. Paul (2017 PlayLabs Playwright Center). In her beloved garden, an elderly African-American mother, Claire Rose, meets her middle-aged daughter, Cassandra. Through tough love and self-sacrifice, mom has raised an achiever, an overcomer, a bulldog in her own image. But she resents her daughter’s lifestyle, her life choices, and even her success – all opportunities she never had growing up in the Jim Crow south. These alpha women take us on rollercoaster ride full of humor and pain built on secret betrayals. BIO: A Tony Nominee and two-time Obie Award Winner, Charlayne is one of America's great writer/performers. Her critically acclaimed plays include Pretty Fire, Neat, In Real Life, and two works developed at OPC, Flight and Night Watcher. Charlayne was recently awarded the 2018 OPC Award for her artistry, activism, and commitment to creating theatrical work that fosters mutual understanding. Robbie has developed several plays at the Ojai Playwrights Conference including Vicuña, Other Desert Cities, and The Paris Letter. His other plays include The Film Society, The Substance of Fire, Three Hotels, and A Fair Country, which, along with Other Desert Cities, was a Pulitzer Prize finalist. He is a Guggenheim Fellow and winner of Drama Desk and Drama Critics Circle Awards, as well as a multiple Tony nominee. He created the long-running ABC hit series Brothers & Sisters, and wrote and produced The Slap for NBC in 2015. Robbie will be working on Faraway Friends, a probing and poignant journey through the social, cultural turmoil of America between 2003 and 2007. Scenes from Robbie's new play, Faraway Friends, were performed during IGNITION: NEW WORK FOR A NEW WORLD on Thursday, August 9, 7:00 pm at Matilija Auditorium in Ojai. Bill is making his eighth appearance at the Ojai Playwrights Conference. He is author of Stand Up Tragedy (LA Critics Award, Helen Hayes Award, and the Joseph A. Callaway Award for its Broadway production), Equivocation (LA Ovation Award, American Theater Critics’ Association/Steinberg Award), 9 Circles (ATCA/Steinberg Award, Sky Cooper New Play Award), and How To Write a New Book for the Bible (Bay Area Critics’ Award). Bill is also the recipient of the inaugural Terrence McNally New Play Award from Philadelphia Theater Company. Bill will be working on his newest play, Road to Glory, an explosive and highly theatrical examination of racism in America. Scenes from Bill's new play, The Patriots, were performed during IGNITION: NEW WORK FOR A NEW WORLD on Thursday, August 9, 7:00 pm at Matilija Auditorium in Ojai. Millz is a Zimbabwean playwright, performing artist and the current artistic director of Writers’ Café. Launched in April 2017, Writers’ Café is a creative space for writers to meet, vibe-off other writers, work, sell and collaborate. Its flagship event the Writers Meet-Up is a literary arts initiative working towards the promotion of local writing and reading culture. Through Writers’ Café and his stage plays, Millz has been engaged in creative activism that focuses on mental health issues in marginalized communities by providing alternative coping mechanisms using writing as therapy. Millz will be working on his newest play, The Prophet. 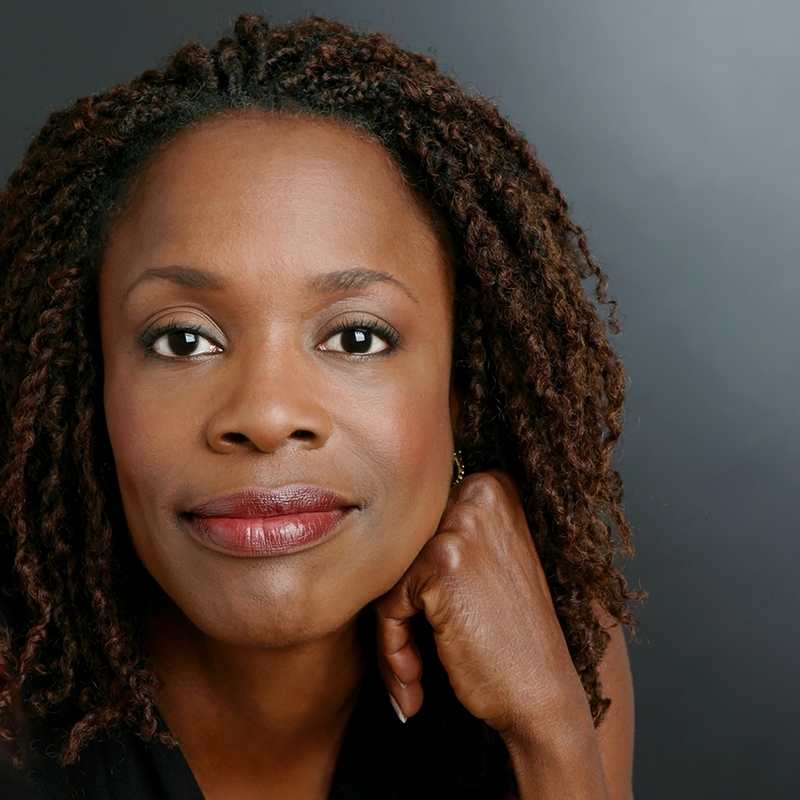 Patrick’s residency is part of an ongoing collaboration between OPC and the Almasi Arts Alliance which is led by OPC playwright and board member Danai Gurira. Quetzal is an ensemble of highly talented musicians, joined for the goal of creating good music that tells the social, cultural, political, and musical stories of people in struggle. Martha Gonzalez (lead singer, percussionist, and songwriter) calls it an "East LA Chicano rock group" “summing up its rootedness in the complex cultural currents of life in the barrio, its social activism, its strong feminist stance, and its rock and roll musical beginnings. Besides being a rock band, the group and its members participate in a much larger web of musical, cultural, and political engagement. "The beauty of Ojai is how it remains an institution I can return to time after time and know it will retain its excellent level of artistic collaboration and grounded sense of community. I am thrilled to be a part of the Ojai family and have no desire to lay my hat anywhere else when it comes to play development." OPC seeks writers with socially, politically and culturally challenging work who reflect the ethnic and cultural diversity of the country. OPC’s Artistic Staff solicits unproduced plays from writers, agents, theatres, other developmental programs, educational institutions, and through online submissions. A committee of fifteen diverse, highly experienced readers reviews the submitted plays and proposals. Each play receives a minimum of two reads. The top 50 plays are read by every committee member. A concerted effort is made to ensure that selected writers reﬂect the ethnic and cultural diversity of the country, as well as a healthy mix of both established and emerging artists. The eight selected playwrights are identiﬁed in late spring, and invited to participate in the two-week residency program in Ojai, California. Only new, unproduced works, still needing development, are considered. Plays are read and evaluated through a rigorous process by a 15 plus member reading committee of artistic professionals in the theatrical community. The reading period generally falls between January and May each year. No more than 10 sample pages from the script (PDF format). Submissions fpr the 2019 season are now closed. Submissions will be solicited/ accepted between October 1 and December 31 for 2020 season. OPC has nurtured the talents of the following playwrights since 1998, and assisted in the development of their works.